Rick assists clients in the areas of Commercial Litigation / Dispute Resolution and Family Law. During his 40 year legal career Rick has successfully run a very broad commercial litigation and dispute resolution practice. He has acted for numerous corporate, government and individual clients, and has significant trial experience in all WA courts and tribunals. He is an experienced mediator. Rick been an active long term member of the Law Society of W.A. He was on the Council of the Society for 13 years including a year as president. He has been a member or chair of over 20 Law Society committees and is currently on the Courts committee of the Society. 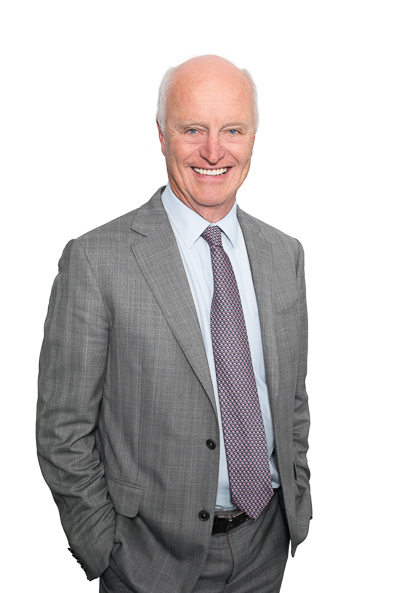 He was made a life member of the Law Society in 2005 for his contribution to the legal profession and public in W.A. He has broad business experience including being the founding chair from 2007 until 2012 of the National Health Direct Australia Company on behalf of the Federal, State and Territory governments. He is a shareholder in the Cullen Wines family business and has, with his wife Bettina Mangan, established 140 acres of vineyards in the Margaret River region since 1995. Rick has been a long term environmentalist, and in 1996 was the first person in WA to instal rooftop solar panels to pump electricity back into the grid. He enjoys tennis and gardening and plays piano in a rock n roll band, the Inflictors. Rick looks forward to being able to help you, contact him on rcullen@cullenmacleod.com.au or 9389 3999, to have a chat about how he can assist.